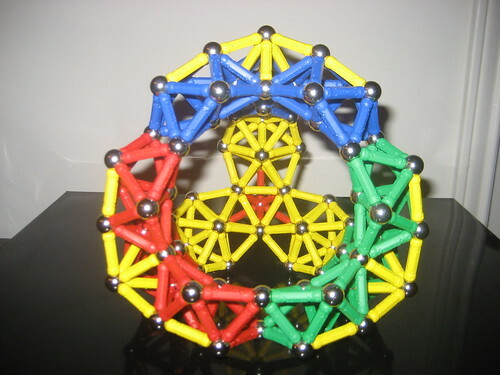 Material: You will need 336 Geomag bars to build this model. Challenge: A modular approach. I leave it to you discover the end result, and only the photo above is given as instructions. Credits: I can't take credits for the finished model. 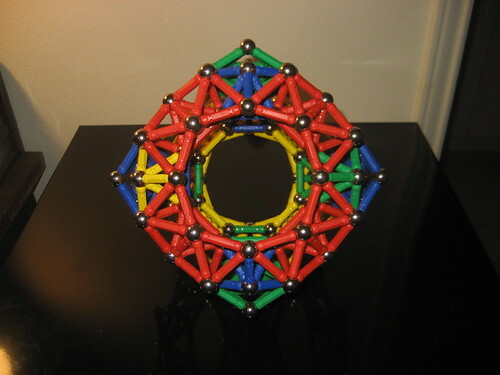 I saw this model on a page with Geomag creations on gozmoz.net in 2004. Unfortunately the model page does not exist anymore. 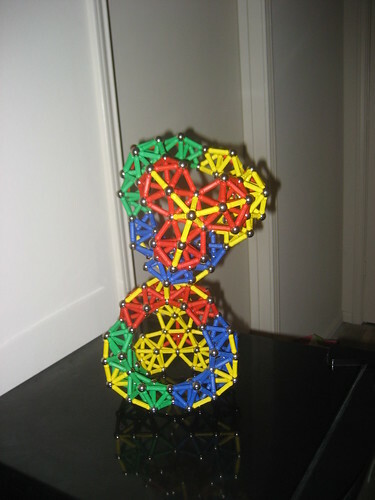 I actually think this challenge was the first big project that got me really devoted to geomag. So I'll post my solution from about a year ago since it's been over a week. And here is an inverted modification I am pretty sure I came up with. I might be wrong, so if someone else did, and I simply don't remember then please don't be offended by my bad memory.